Did Jei Tseng of JT Studio just feed his YOX steroids? The evolution is on the way! Jei has just uploaded a 200% soft vinyl edition of the much-loved YOX. Arguably one of the best soft vinyl releases from JT Studio to date gets a major upgrade. 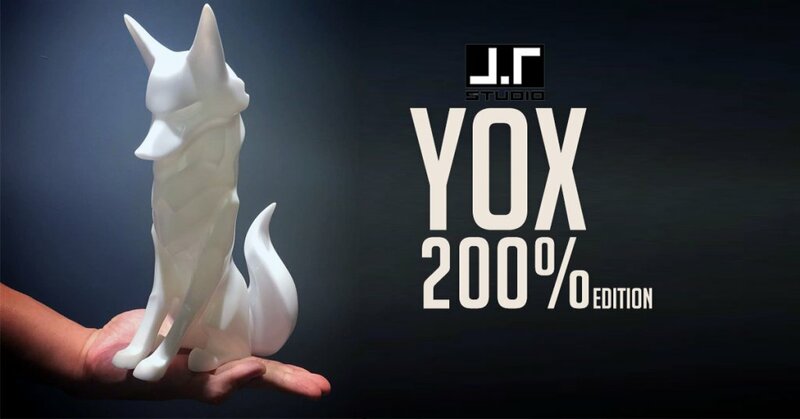 We’ve spoken to Jei and there’s going to be a few surprises with this new size of the 200% YOX. Prototype from the factory has just arrived and Jei is working out the minor adjustments and colour testing stages. We don’t know if it’s our wallets crying or our other collectables having to make way for this new version of YOX. Need some OG YOX? head to https://gb-tenacioustoys.glopalstore.com/ quick as the yellow edition is in stock. More J.T STUDIO goodness at http://www.jtstudio.com.tw/. Stay tuned for further updates on the 200% YOX. Need an unboxing of the OG YOX? check the live video below.